Bookitnow.pk is an online portal that has made buying tickets online easy with simple steps. 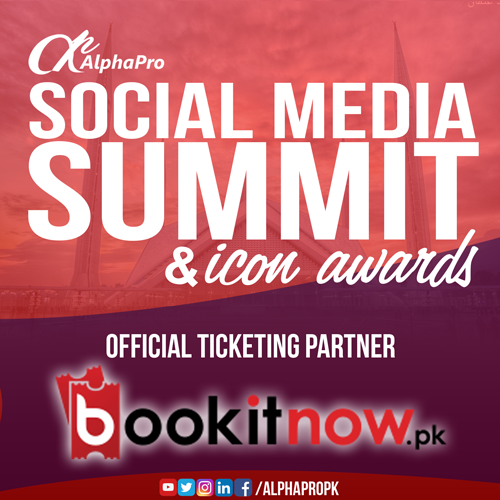 AlphaPro’s Social Media Summit 2018 is bringing the most active organizations on social media on board, these organizations are performing their operations online and are fully utilizing the facilities offered by internet and social media for their businesses. Social Media Summit 2018 will be guiding people regarding the uses of social media to improve businesses and life styles, having businesses like bookitnow.pk is a positive step towards the success of social media summit 2018. Bookitnow.pk is making life easy and promotes events and efforts like social media summit 2018 which are promoting latest trends and innovations in the era.